Mother’s Day is next weekend, bring Mom and Run for Shelter. Registration: Race day registration and bib pick-up starts at 7:00 AM, Sunday, May 10th 2015. Course closes at 10:15. Bibs are not transferable. Registration fees are non-transferable & non-refundable. For online registration go to Fees: Registration Form required for EACH participant. Awards: 10K Run & 5K Run/Walk – Medals for 1st, 2nd, 3rd places, male/female per 5-year age division; plus gift certs for the overall male and female place first placers in 10K and 5K. 1K Kid’s Fun Run – all youth receive accomplishment medals, 3-year age divisions. Kids’ Awards 8:30-8:45. Want to contribute to PVSS- BECOME A SPONSOR! Entering its the 31ST consecutive year, the Mother’s Day Run for Shelter will bring nearly 600 participants and 100 businesses, plus crowds of spectators together to raise a goal of $100,000 in support of services to homeless families in our community. Sponsors have the ability to market to almost 800 enthusiastic runners and supporters. Sponsoring the race provides your business with the wonderful opportunity to reach new customers and build a brand that promotes healthy living, outdoor fun and care for the community. Increase visibility and brand awareness through Mother’s Day Run for Shelter promotions. Employees will feel good about your company. Your business will further connect with community. 540 registered runners plus a huge crowd of supporters cheering them on! 84 sponsors had their information shared with our community. 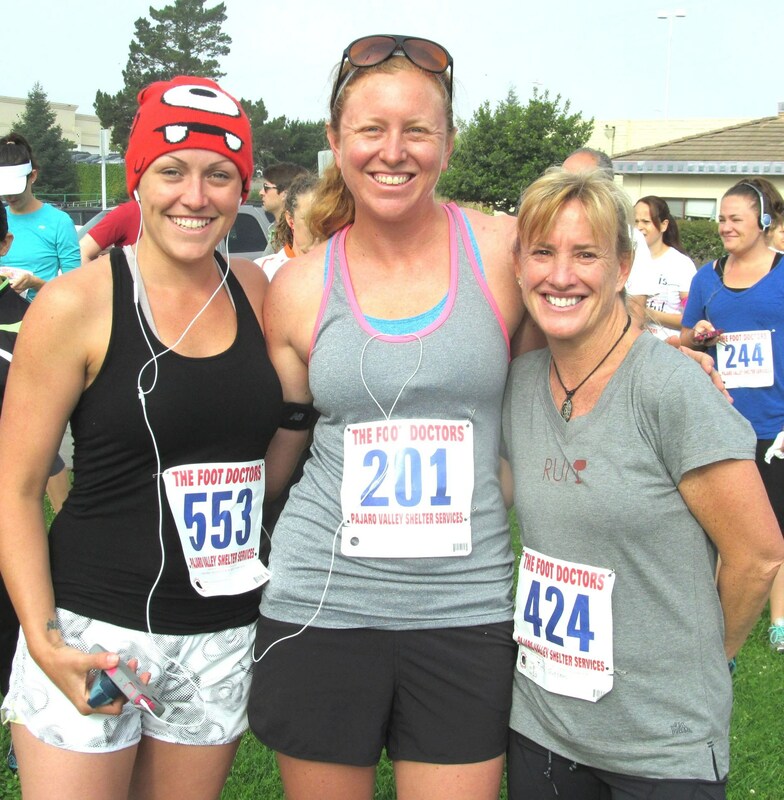 The race raised $64,700 to support Pajaro Valley Shelter Services’ mission to end homelessness in our community. Pajaro Valley Shelter Services presents the 31st Annual Mother’s Day Run/Walk for Shelter on Sunday, May 10th at Ramsay Park in Watsonville and will include a 10K Run, 5K Run/Walk and a 1K Kids’ Fun Run. Goodies include t-shirts, roses for mothers, medals for winners, continental breakfast and a live DJ. This year, families with strollers will be allowed in the event. For 31 years, the community of Watsonville has supported PV Shelter’s Mother’s Day Run to ensure the continuation of services for homeless families. The first race was held in 1984 and raised $8,000. with a small crowd in attendance. This year we expect over 600 people to help raise $100,000! This well-loved event can be enjoyed by attendees of all ages and skill levelS, from the competitive runners to the weekend joggers to families who want to walk together. Starting and ending in Ramsay Park, the race route is a beautiful trek around Watsonville’s slough trails. Start your Mother’s Day off by joining the community in supporting the end of homelessness for mothers, their children and families in South County. The first race starts at 7:45 and the entire event ends at 10:00 am just in time to enjoy the rest of Mother’s Day. PV Shelter has the recipe for successfully changing the lives of families experiencing homelessness, by giving them the tools to help themselves. 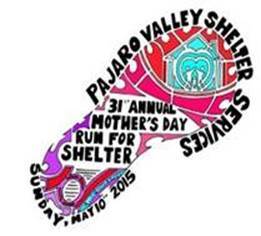 The Mother’s Day Run for Shelter is PV Shelter’s biggest fundraising event. The Race/Walk is an opportunity for the community to partner with PV Shelter to raise funds, so we can continue our mission of promoting self-sufficiency and changing the lives of families experiencing homelessness. Since 1983, Pajaro Valley Shelter Services has helped women, children, and families end the causes and cycles of homelessness. PVSS currently serves and helps house 80 families annually, while they complete a program to overcome financial barriers, and develop goals, skills and attitudes necessary to move on to stable housing and improved personal and economic self-sufficiency. Serving Santa Cruz County and focusing on Watsonville and Pajaro Valley, PVSS owns and operates an Emergency Shelter (for women and children), a Shelter Annex (for families with males over the age of twelve), thirteen units of Transitional Housing, and four units of Long-Term Supportive Housing. Participants learn how to manage money, obtain employment, housing, care for themselves and their children, and more. If workers don’t use what they’ve learned in safety training sessions, they’ve wasted their time – and their employer’s money. In many cases, the reason is a lack of reinforcement when they get back on the job. The first step in avoiding this problem is to meet with participants beforehand to agree on mutual expectations and objectives for the session. Depending on the type of training, this discussion can take place up to four weeks before the program begins. Don’t wait until the day before the meeting. After the session, simply asking trainees how they liked the program is not enough – even though that’s where reinforcement often stops. Instead, meet with workers individually and as a group for follow-up to help determine whether the training met everyone’s expectations, the work environment is supportive of the concept(s) taught, and the participants know how to implement what they learned on the job. Be sure that the trainer(s) have a solid understanding of the participants’ jobs and make the content relevant and practical. Link the training to your company’s goals and objectives so that workers understand the importance and the relevance of the information. Minimize interference from the job during the session so that trainees can give their full attention to the content. Allow for reflection and application throughout the training, giving participants a chance to think about how to use this knowledge and skills back on the job. Provide opportunities for practice and feedback to reinforce the training. We’re always ready to advise you on implementing an effective follow-up program on your job safety programs. One of the best things about living in California is the gorgeous climate. It makes getting out and enjoying the outdoors an everyday occurrence. Considering how much water is available to residents in the state, combining your outdoor adventures with a boat, jet ski or wave runner brings a whole new level of fun to your life. Before you make arrangements to put your watercraft to good use, though, you need to make sure that you are covered in the event of an accident. Each person who is on board a watercraft must be wearing a life jacket that has been approved by the Coast Guard. The approved types are Types I, II, III and V. Operating a personal watercraft such as a jet ski is prohibited between sunset and sunrise even if the craft is outfitted with the correct navigational lights. 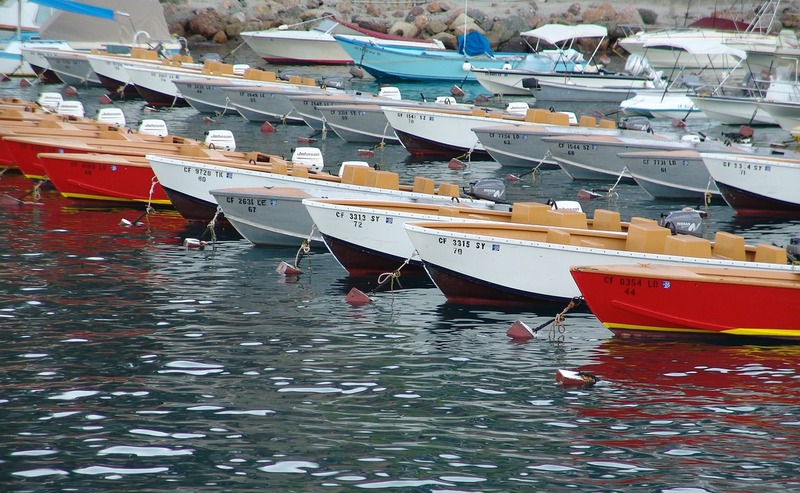 Only individuals that are aged 16 and older can operate a boat that is more than 15 horsepower unsupervised. Children between the ages of 12 and 15 can do so under the direct supervision of a person who is over the age of 18. There are also specific stipulations against negligent and unsafe behavior while operating a watercraft. It is safe to assume that you need specialized insurance for your watercraft before you take it out to play. Rather than simply purchasing a cookie cutter insurance plan, however, work closely with your insurance agent to craft a customized insurance package that meets your unique needs. In most cases, this insurance plan will include liability in case you accidentally damage someone else’s property or cause injury to another person. Collusion and comprehensive insurance is also a standard addition and protects your own boat and other watercraft in the event that it is damaged. Taking your fun off road ratchets up the fun quotient considerably. There is nothing quite like the thrill of hitting the rugged trails and backwoods roads in your ATV or dirt bike. 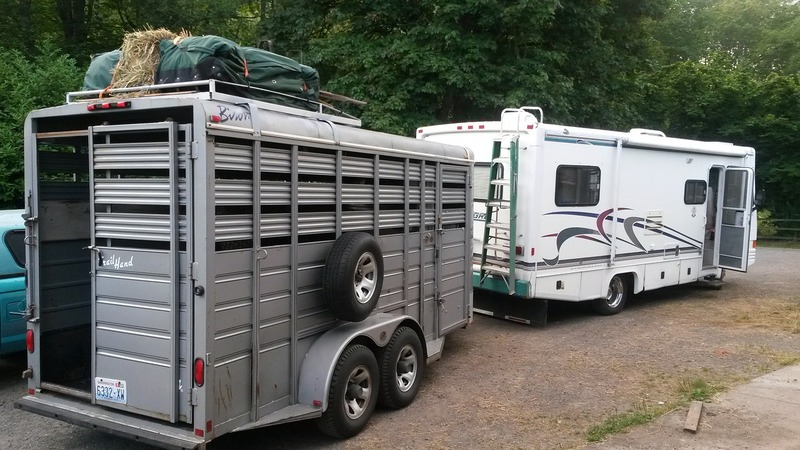 Keep the fun flowing all year round by making sure that you have the right insurance before you head out on your favorite recreational vehicle. The last thing you want to do is assume that your current insurance will cover any mishaps that might occur involving your ATV or dirt bike. The reality is that this is not likely to be the case. In nearly all instances, your homeowners’ insurance and auto insurance will not cover any damages incurred by or to your off road recreational vehicles. For example, if you wreck your ATV on your own property, it is not likely that your homeowners insurance will pay for it. California is blessed with a gorgeous climate and many different types of terrain. Taking your dirt bike or ATV to one of the many recreational areas that exists within the state adds variety to your hobby time while also giving you much needed space to test your speed and agility. Before you make plans to do so, though, you need to make sure that you have the necessary insurance as required by California. Speaking with your insurance company about your ATVs and dirt bikes can help them craft a unique insurance plan for you. This plan will provide you with the liability, collusion and comprehensive insurance that covers any issue that might arise while you are enjoying your hobby.